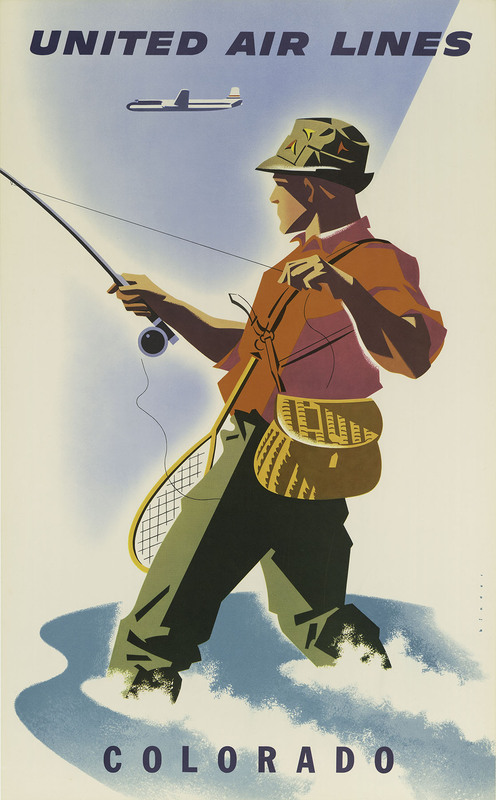 ‘Presenting The Comet’, 1935. 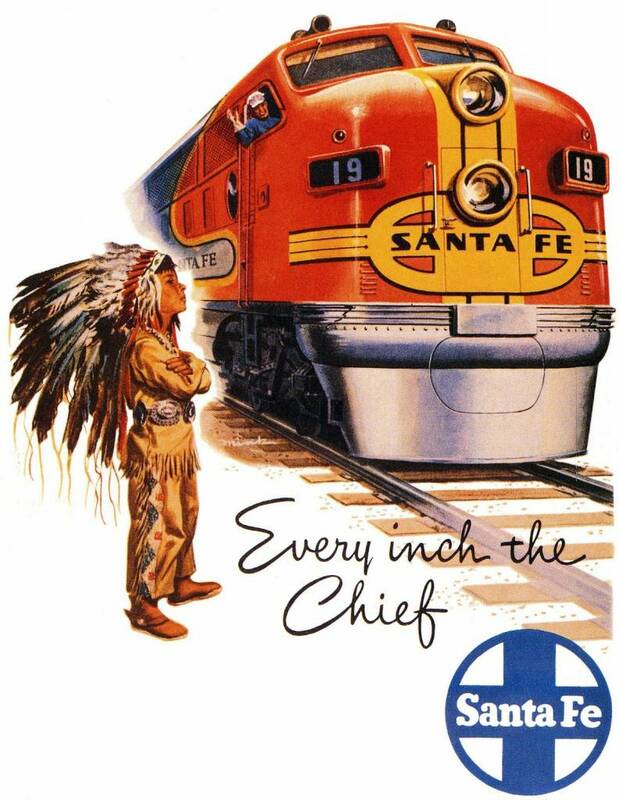 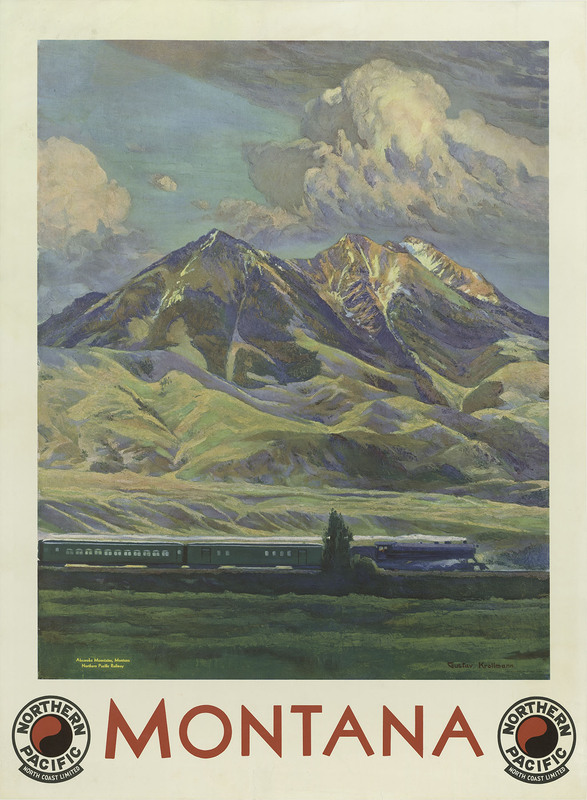 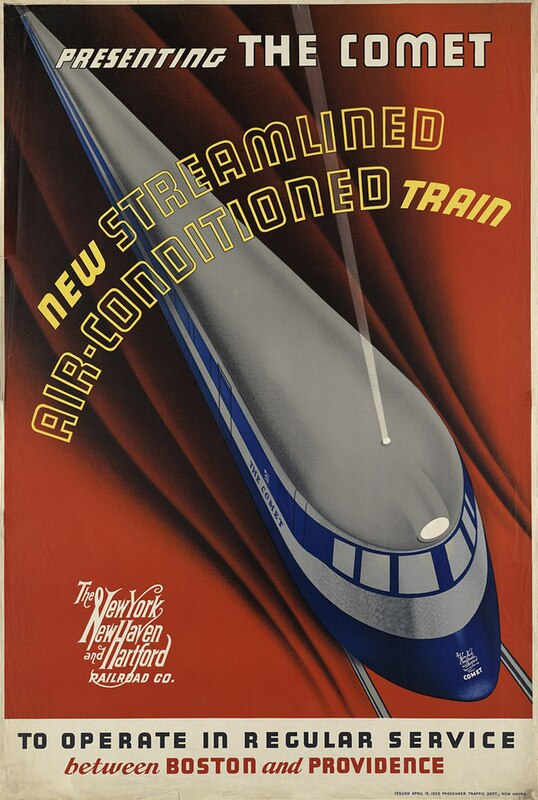 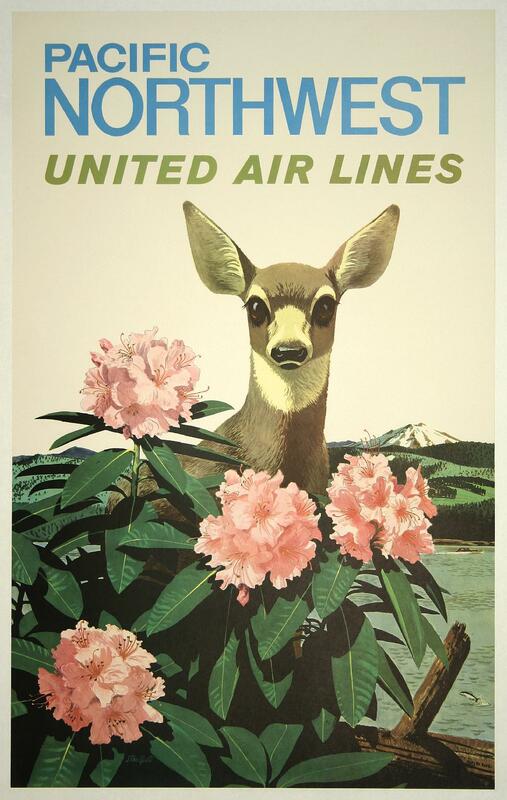 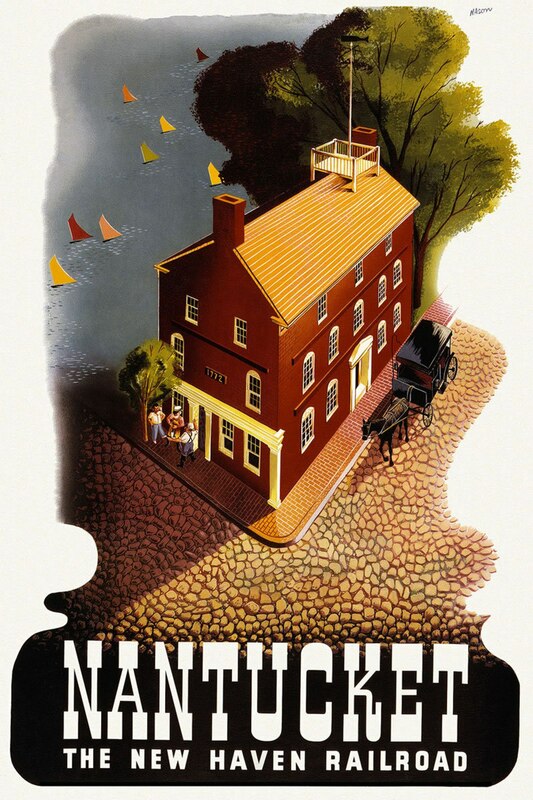 The New York, New Haven and Harford Railroad Co.
Yosemite via United Airlines, designed by Joseph Feher in 1945. 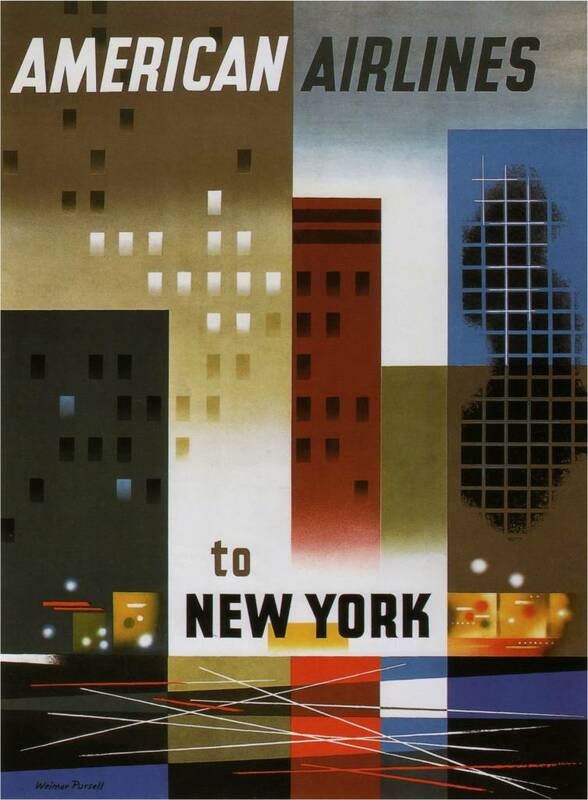 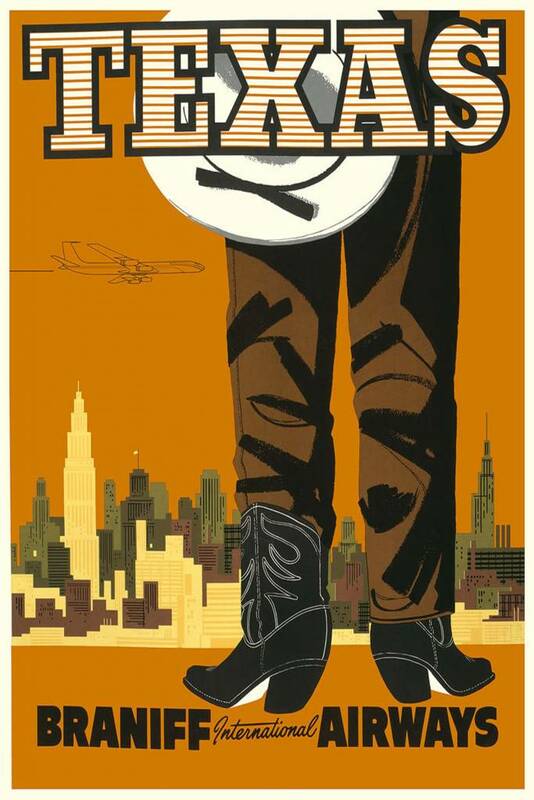 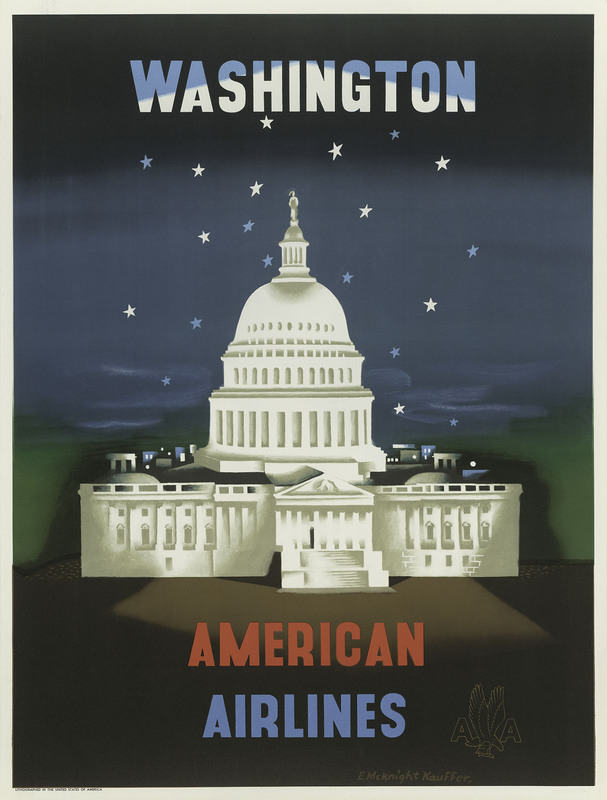 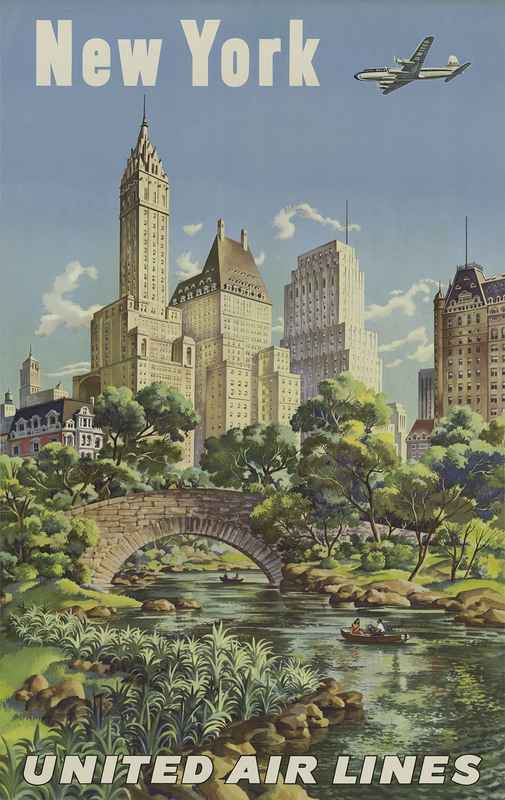 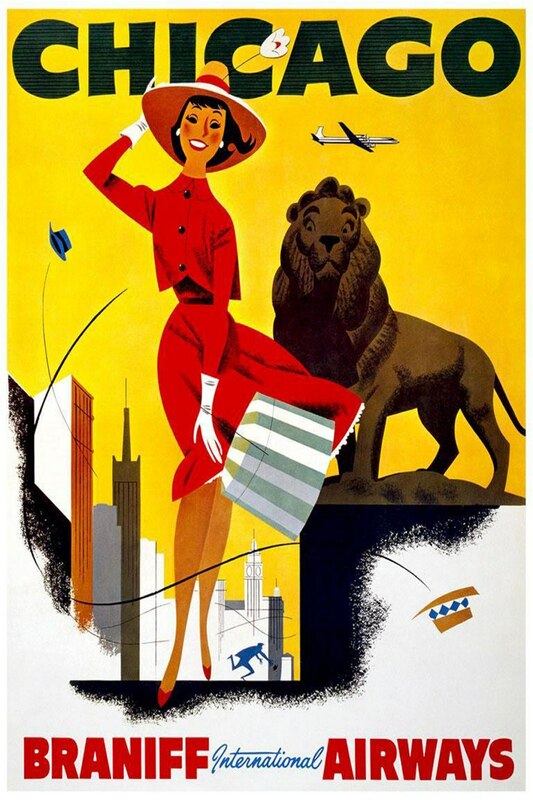 United Airlines to New York designed by Joseph Feher, c.1946. 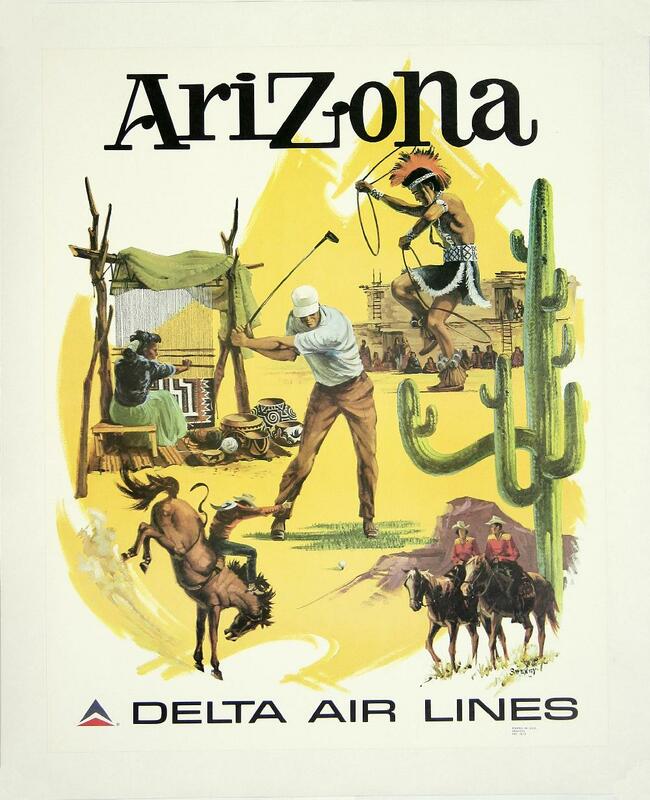 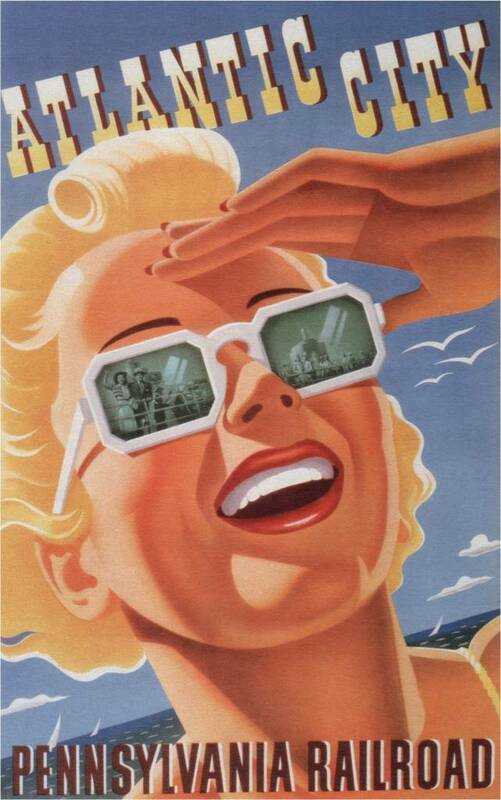 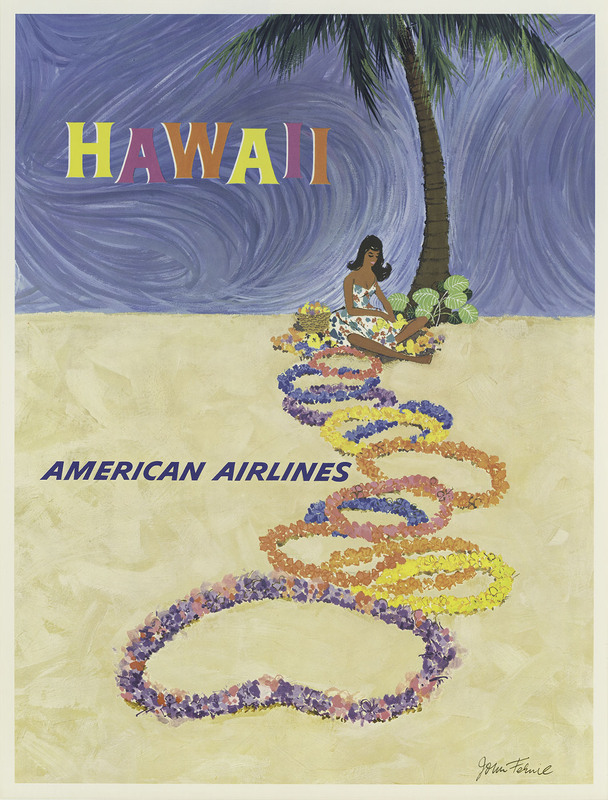 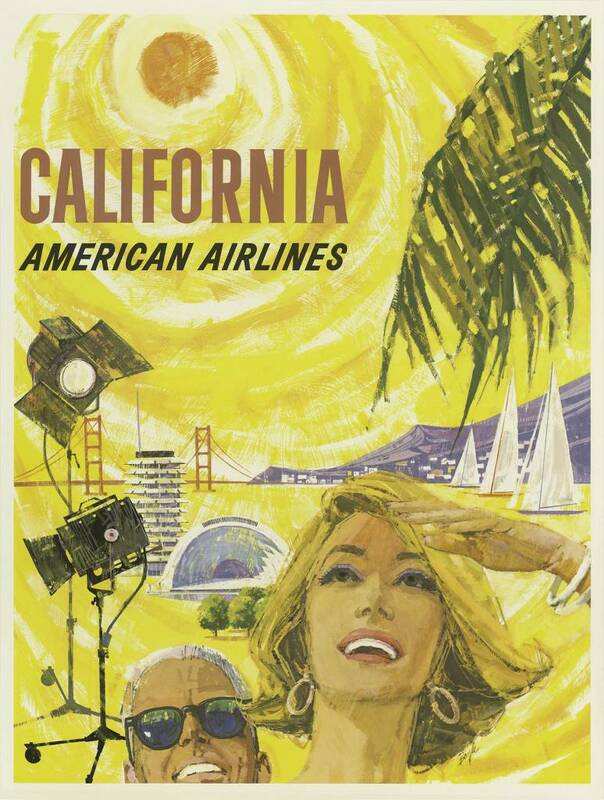 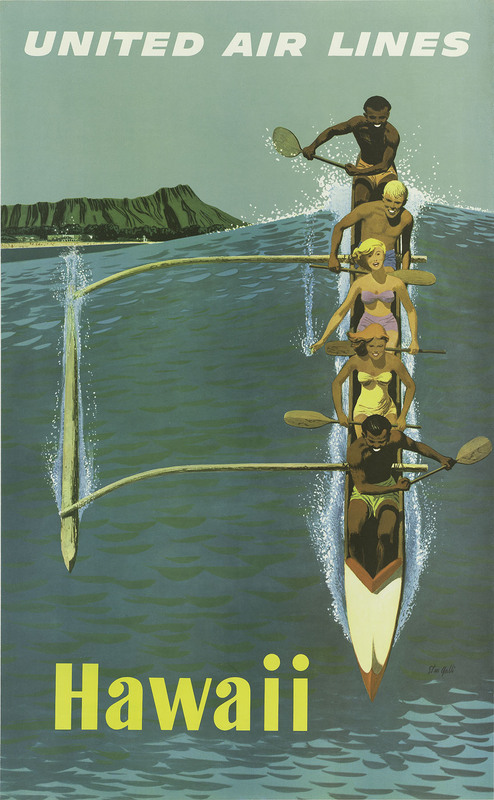 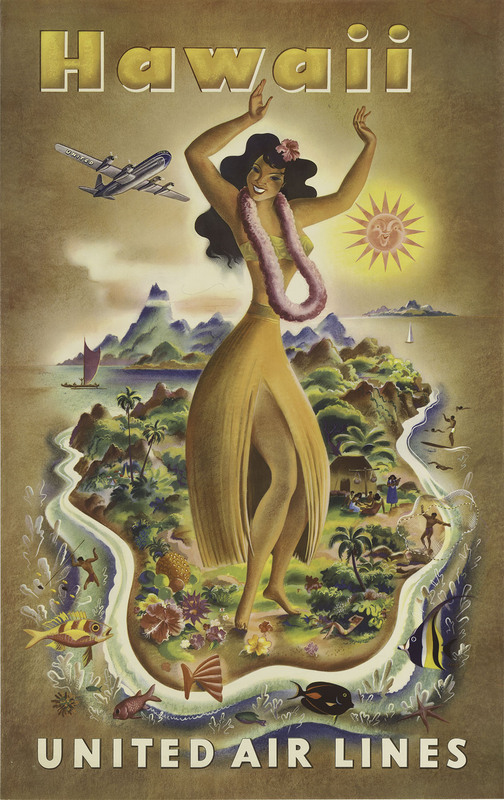 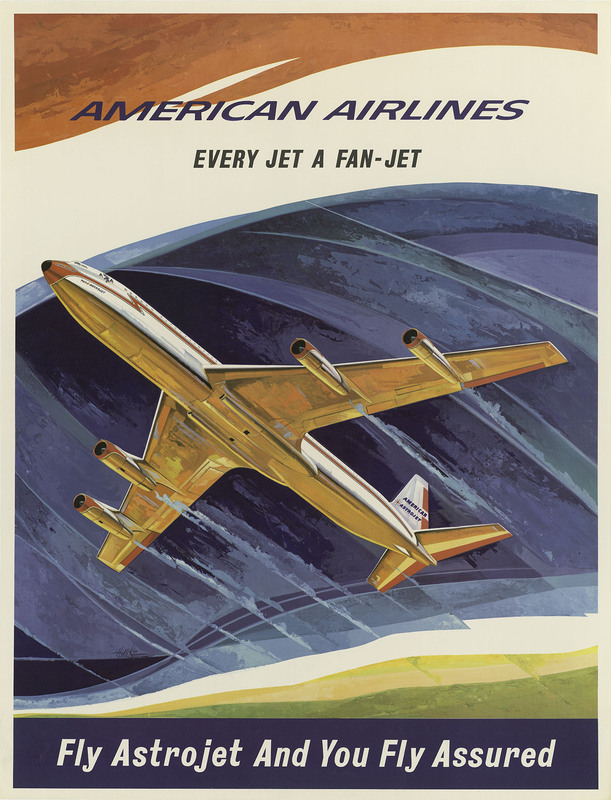 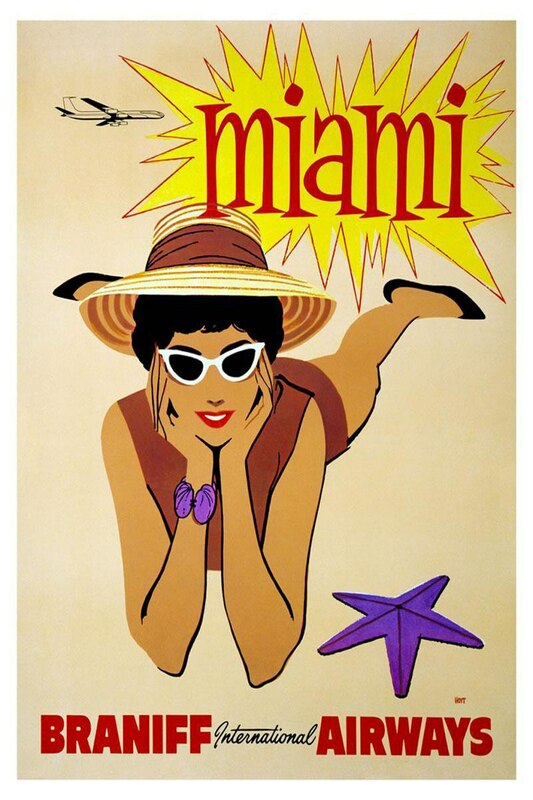 American Airline poster for Hawaii, designed by John Fernie, 1950s. 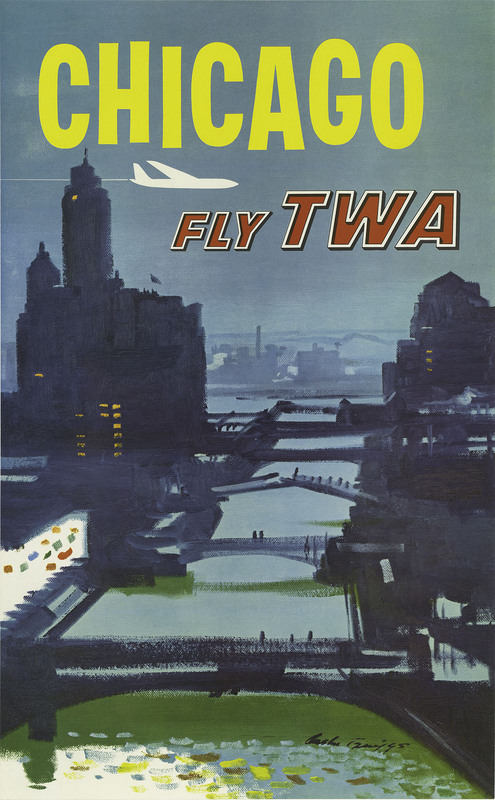 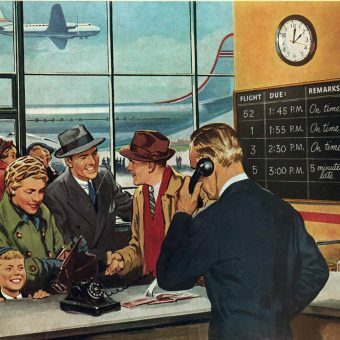 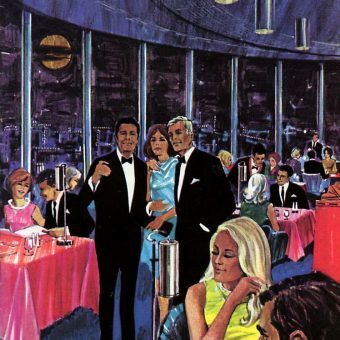 Fly TWA to Chicago, designed by Austin Briggs in 1960. 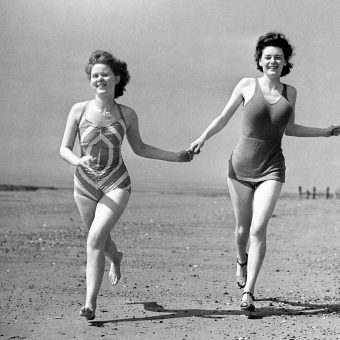 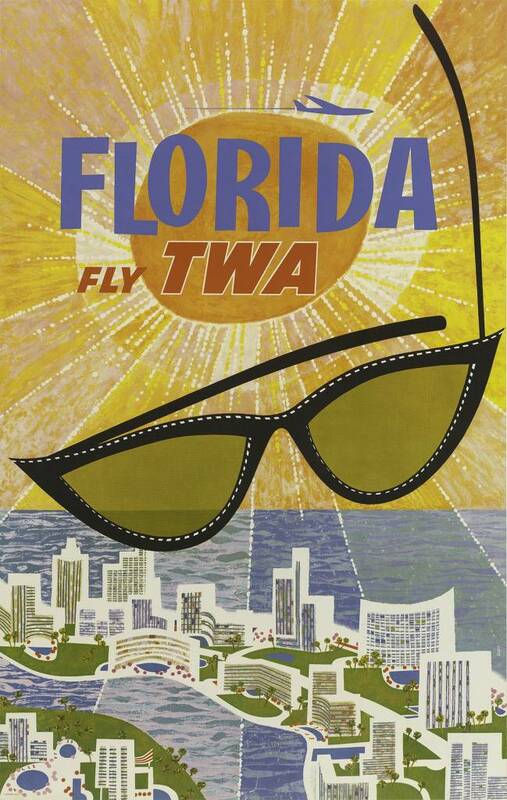 FLY TWA! 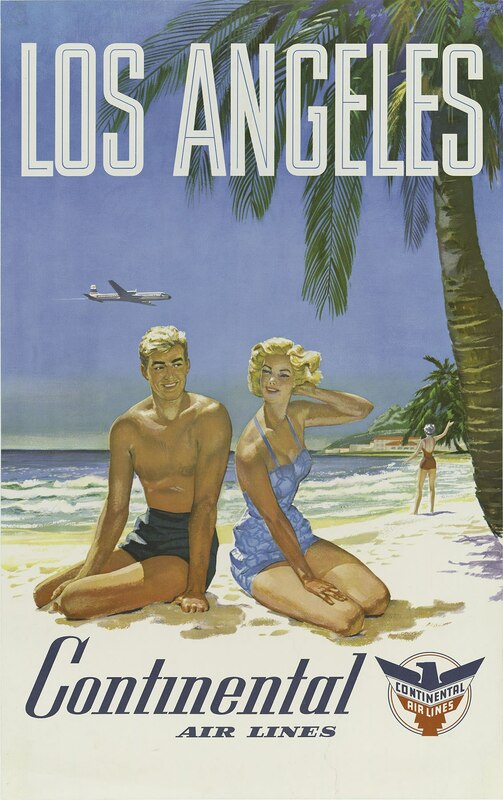 Los Angeles, designed by David Klein, 1950. 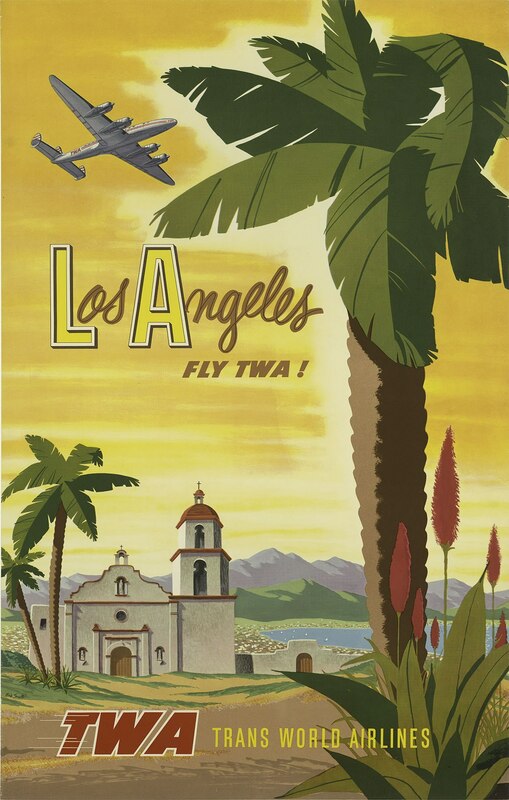 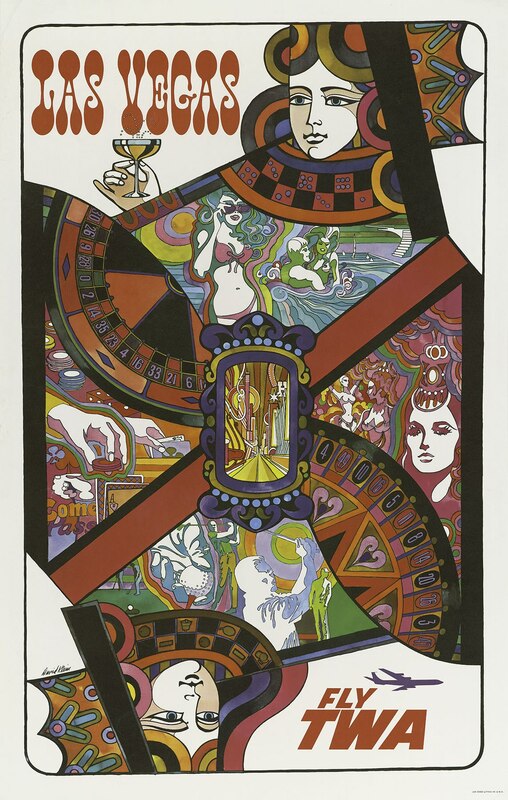 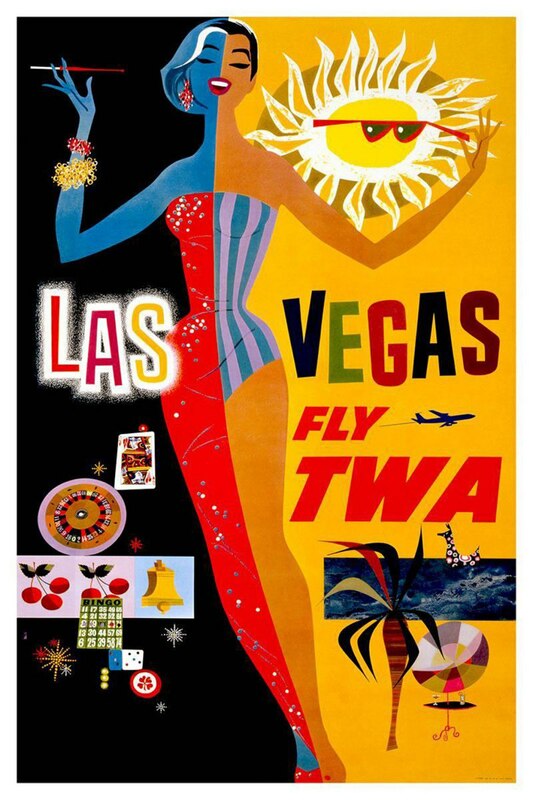 Las Vega – Fly TWA, designed by David Klein, 1965. 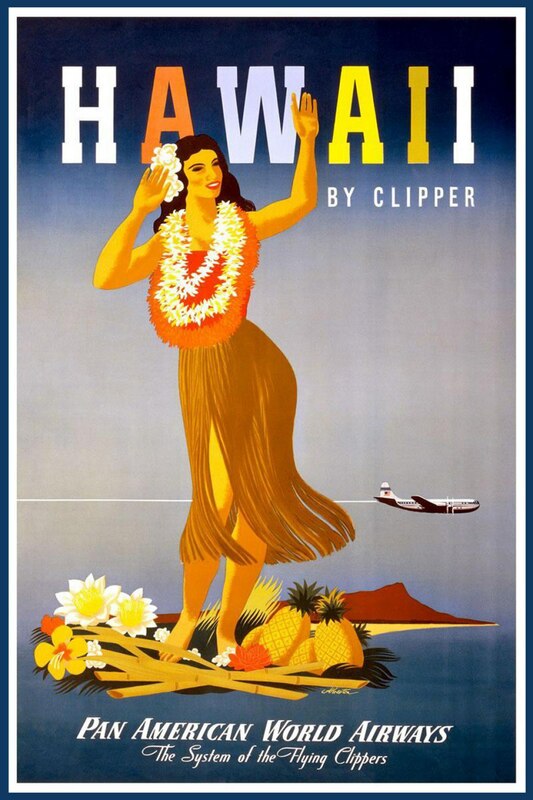 Hawaii by clipper, Pan American Airways, designed by John Atherton in 1948. 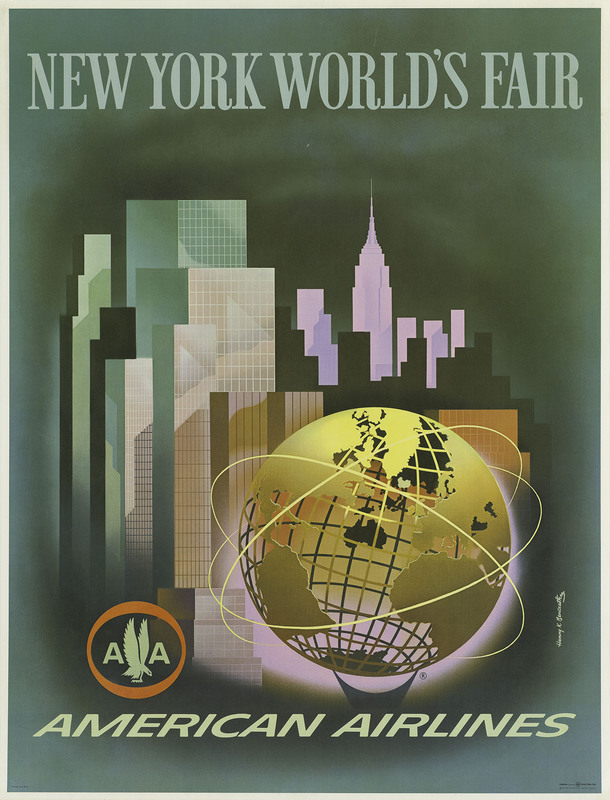 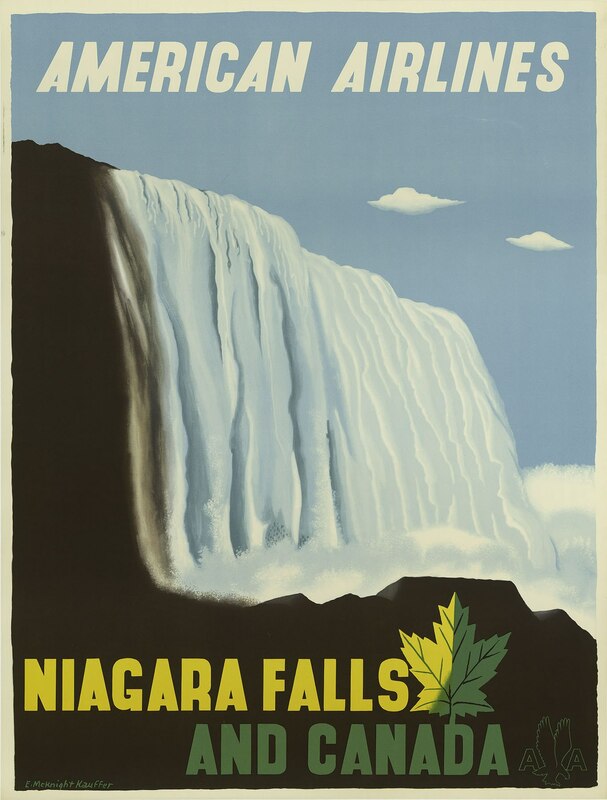 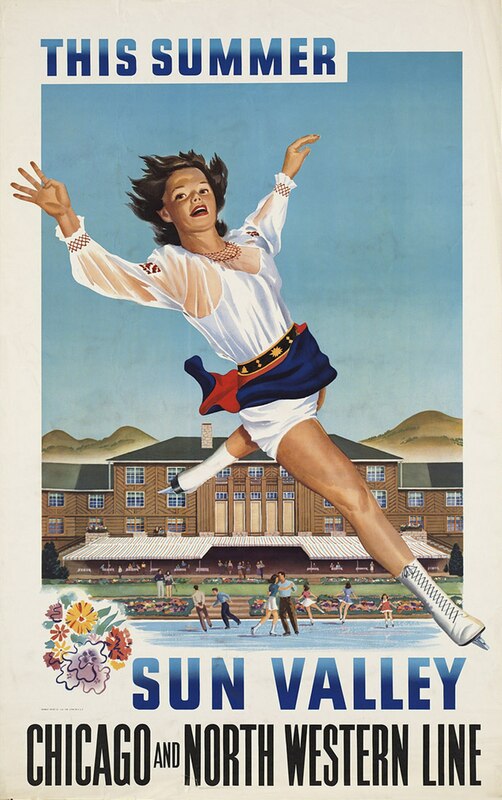 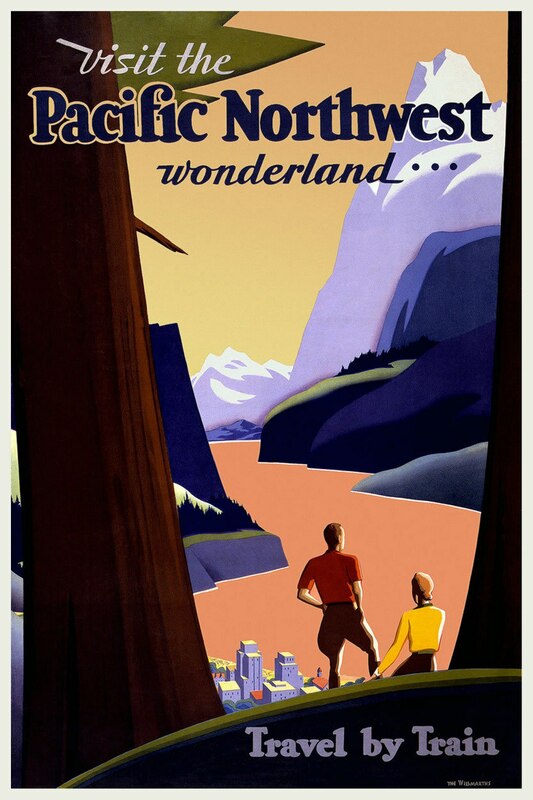 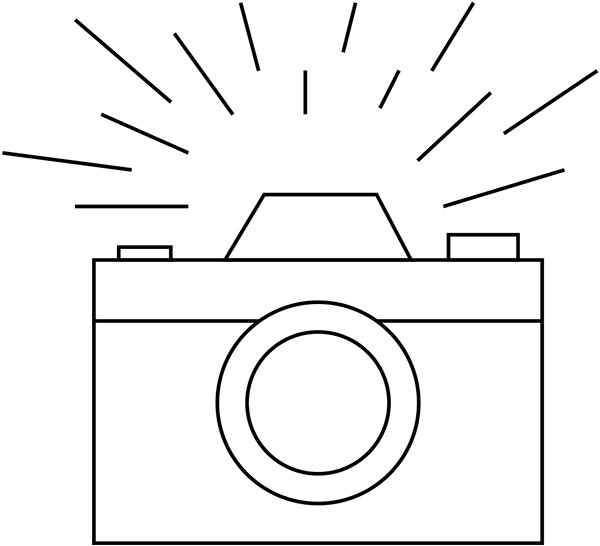 American Airlines – Niagra Falls and Canada, designed by Edward McKnight Kauffer in 1948. 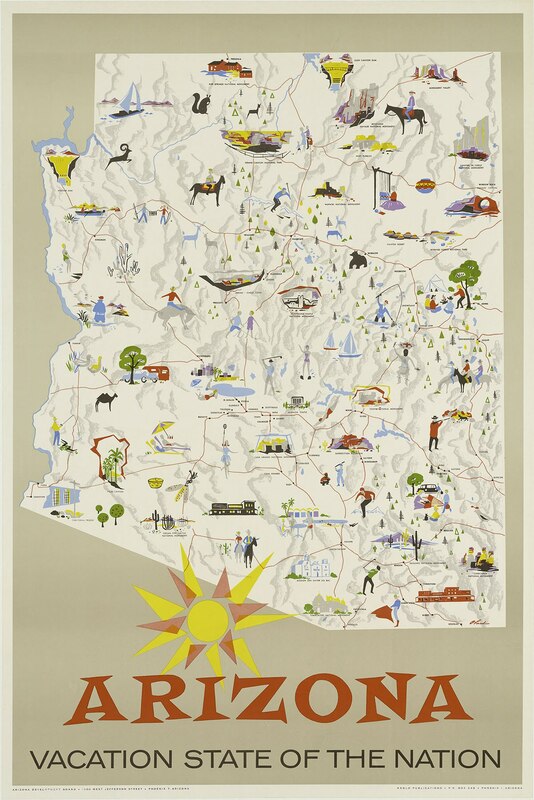 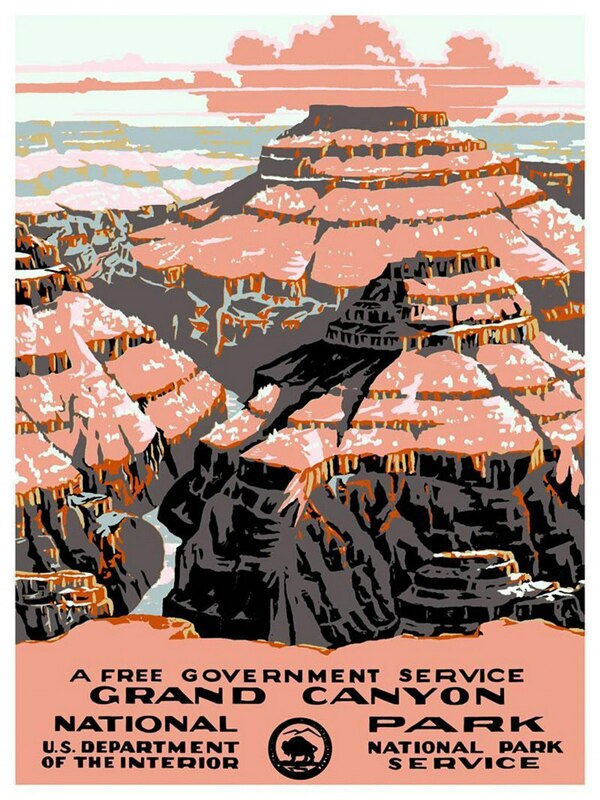 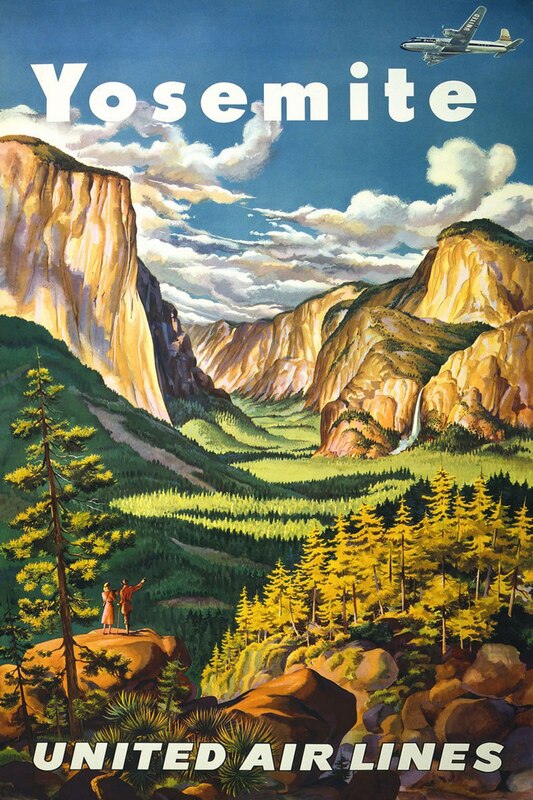 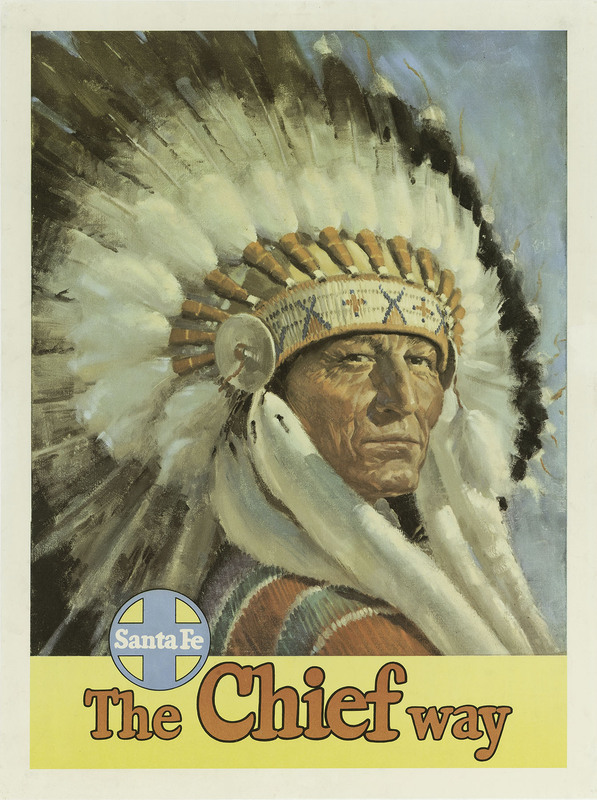 Grand Canyon Park tourism poster, 1938. 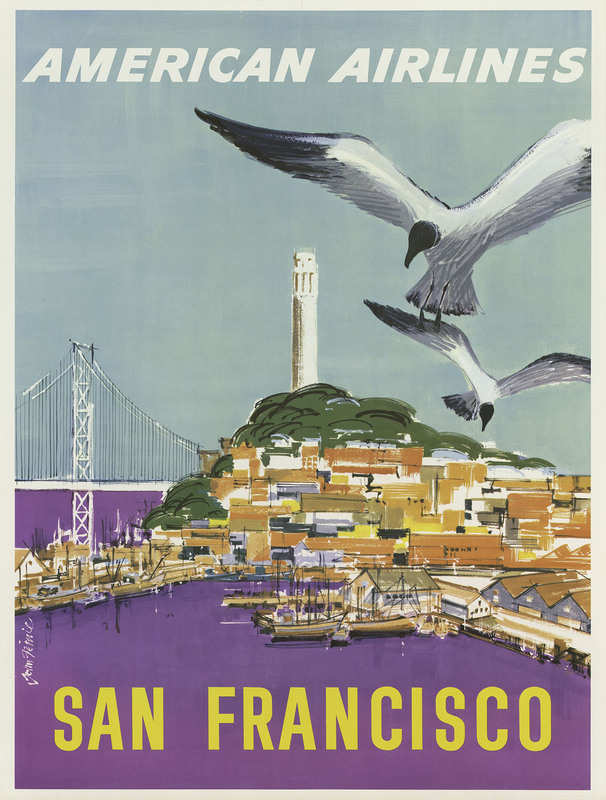 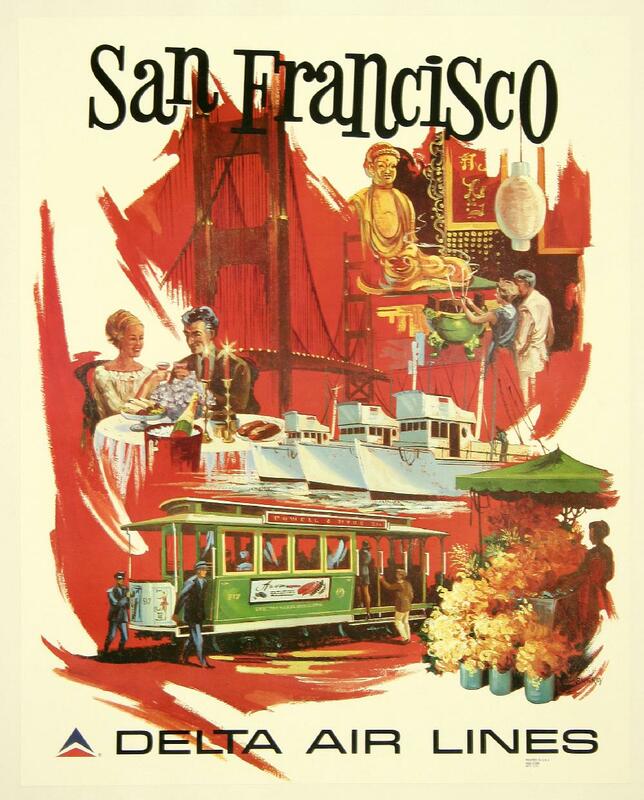 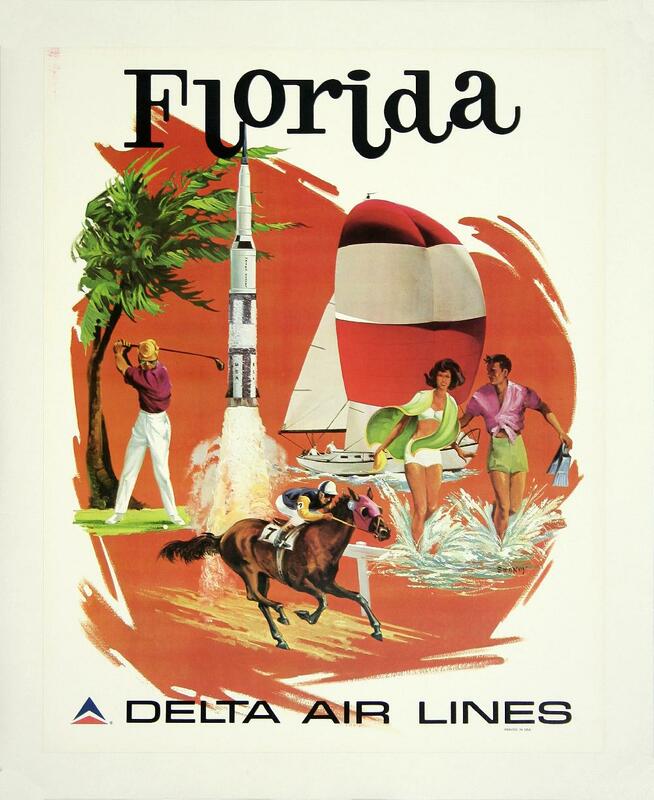 Delta Air Lines featuring San Francisco. 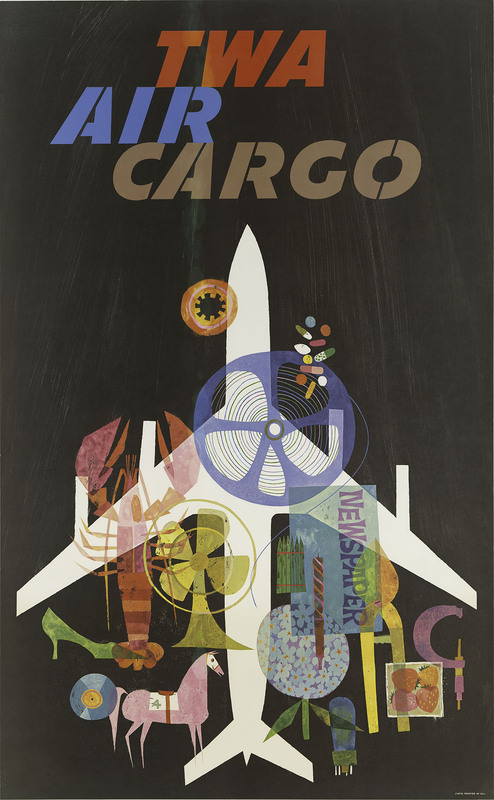 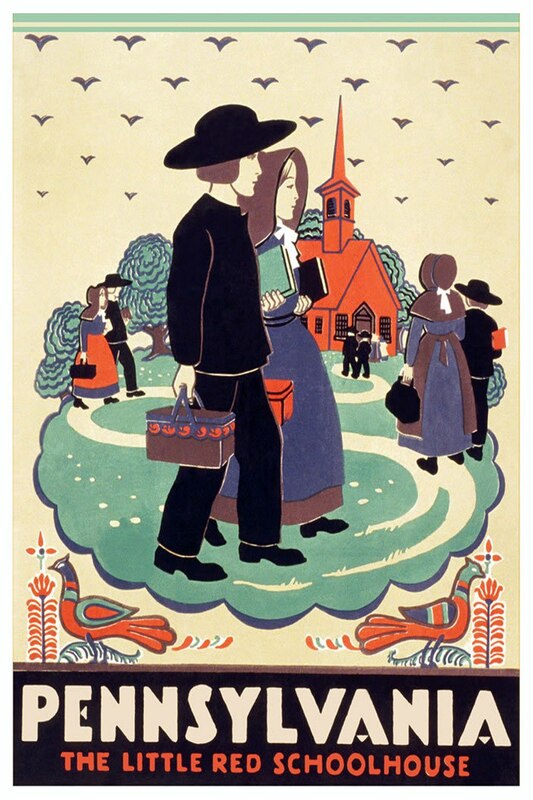 Designed by Sweney in 1974.